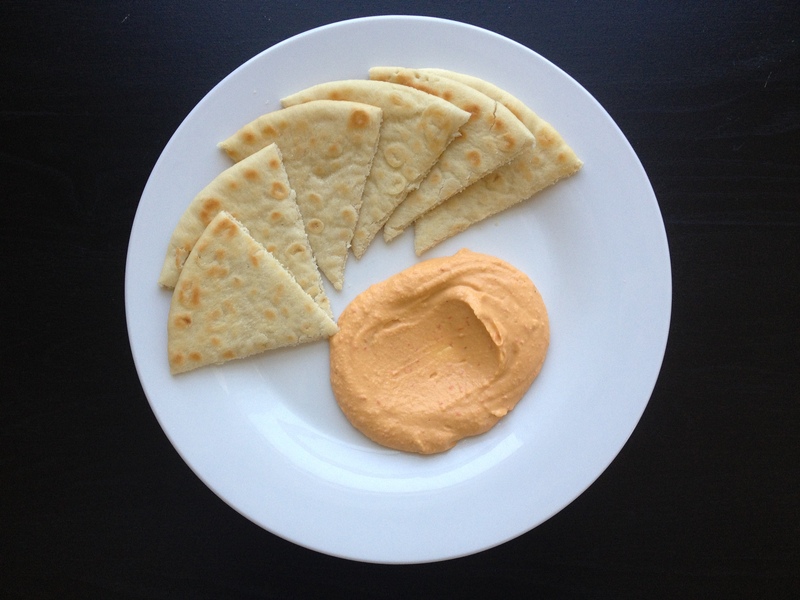 Ready to read the millionth hummus recipe on the Internet? Good. I really shied away from posting this because it’s not too groundbreaking and actually pretty basic. But two important things are making me: 1.) I’m obsessed with hummus (ahem) & 2.) this really is the perfect conglomeration of brilliant parts of many different hummus recipes. 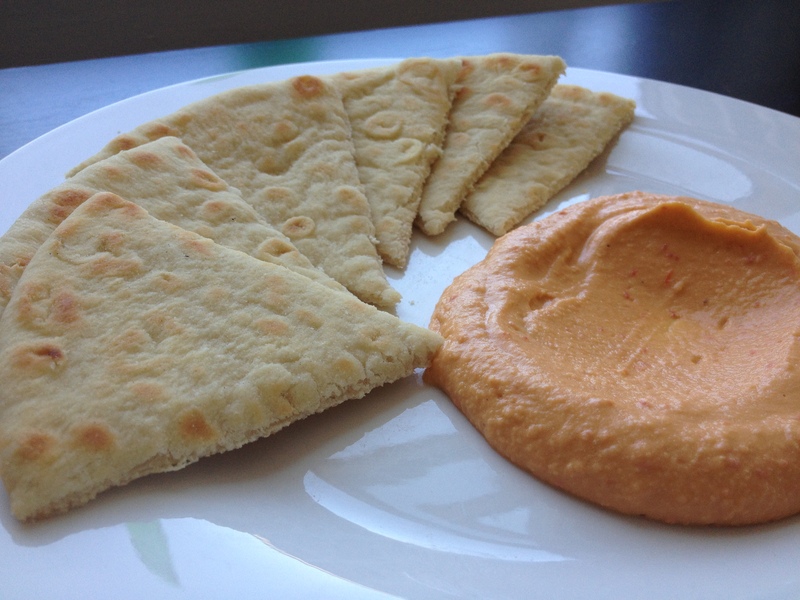 Trust me – there is no better way to easily make homemade hummus with canned chickpeas than this recipe. 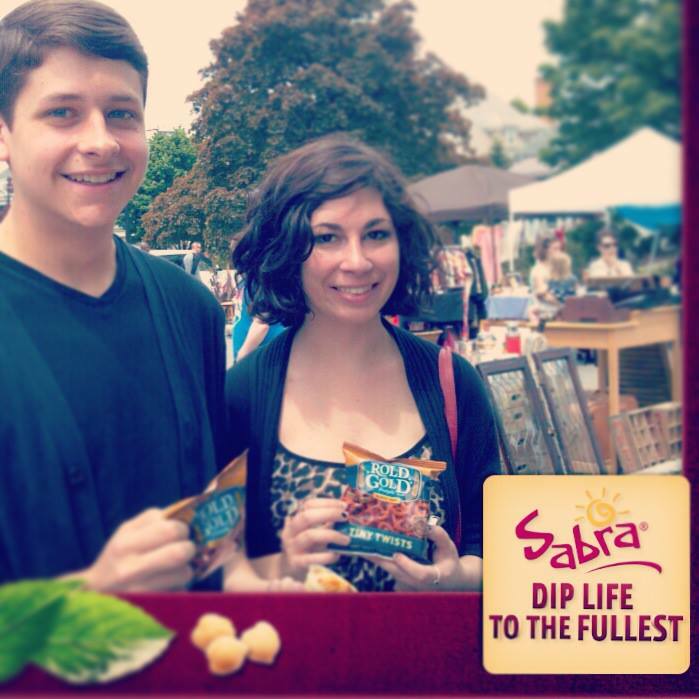 The end result is Better Than Sabra (can I trademark that? ): just as smooth, more natural in flavor, larger in quantity, and (much) cheaper in price. By the way, you’ll be doing yourself a huge favor by getting your ingredients for hummus at a market like Guercio’s; for example, their tahini is about $9 cheaper than at places like Dash’s and equal in quality. The things that make this hummus so great are extremely nuanced and can seem petty, but the few extra minutes of prep work pays dividends in the end, resulting in ethereally smooth hummus with addicting flavor. And with a great new technique I read in Cook’s Illustrated the other day, the process is simpler than ever. It’s worth this post, and it’s even more worth making yourself. Mix the garbanzo beans and baking soda together in a skillet and then heat on medium, tossing frequently, until the beans’ skins start to separate and the beans are hot to the touch. In a large bowl, run the heated beans under cold water while vigorously shaking / agitating. Strain and repeat at least 4 times. 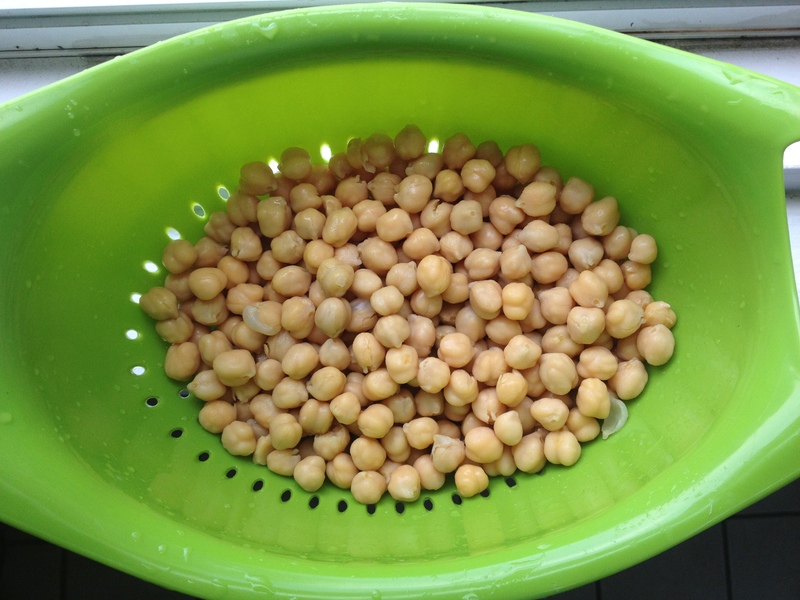 By this time, the skins of the garbanzo beans should be separated and will float to the top on a final soak in water. Skim and discard the skins; drain the beans. In a food processor, pulse the skinned beans, garlic, and 1 or 2 tsp of salt together for about a minute, until a rough puree is formed. Add the roasted pepper and repeat. Remove a few peels of lemon with a peeler or knife and squeeze the lemon oil into the food processor. Then juice the lemon and add that. Pulse. Add the tahini and then start the food processor on high speed. Processing during this entire step, slowly add the olive oil and let run for a minute. Then slowly add the water and let run for another minute. This process will aerate the hummus (as it will become more firm in the fridge) and will develop its texture. Taste for seasonings (salt, lemon juice, a little sriracha if you want it spicy) and refrigerate for up to a week. I am the owner of a small scale organic restaurant and have been serving home made hummus for years. I tried this recipe for the first time the other day, and must say I am quite impressed. Top ten (of the hundreds I have tried). Five out of five.